The following article was written in 1996 for publication by the APA Orange Section newsletter. Civic Solutions staff provided project management services for this highly controversial project under the oversight of Leslie Aranda, Principal Planner for the City of Irvine. Leslie Aranda Roseberry is currently the Planning Manager of the Current Planning Division at the City of Orange. The City of Irvine ended the century with one of the most successful large scale planning projects in the county’s history. At stake was the development of 3,500 acres of hillside land nestled between the Turtle Rock community and the Route 73 Toll Road near UCI. The owner/developer, The Irvine Company, had waited for over a decade to develop this prime real estate, and had carefully developed an intensive land use plan that reflected the consumer demands and property values of the late 1990s. The project was first submitted for processing in December 1996. During the subsequent year and a half, the project became more visible to residents of the long established community of Turtle Rock, who challenged the objectivity of City staff and the EIR consultant. As a result, a new EIR consultant, Templeton Planning Group, was selected and a new project manager for the City, Leslie Aranda, was appointed, supported by an outside consulting firm. The residents remained vigorously opposed to the visual and traffic impacts, leading the City to create an innovative process to develop a consensus between City, residents and The Irvine Company. This success story is as much about how the City managed the process as it is about the quality of the resultant development plan. Instead of simply taking a stand on the issues and proceeding with public hearings, the City embarked on a year and a half long process of citizen participation and working out compromises with the developer. This story is best told by three of the key players in the process. Leslie Aranda. The project manager for the City of Irvine was Leslie Aranda, Principal Planner. After receiving her undergraduate degree from UCI, Leslie began her professional career with the City of City of Paramount in 1984, where she served for four years. After another four years at FMA, she joined the planning staff at the City of Irvine in 1992, the same year she received her Masters of Public Administration from CSU Long Beach. In pursuit of her ideal to combine good planning with a high level of sensitivity to the public, she completed certificate programs in Public Relations and Marketing Communications through the University Extension Program at UCI in 1995. Mike LeBlanc. The project manager for the Irvine Company was Mike LeBlanc, Senior Vice President. John Greene. Active member of the Turtle Rock community group Irvine Residents for Responsible Development (IRRD), Dr. Greene was one of several activists that helped to articulate the views and concerns of the residents. Each of these key participants were interviewed, and asked to describe their experience with the project in response to ten questions. Seeing the process through the eyes of the City, the developer and the citizens gives us a truly three dimensional picture of the comprehensive urban planning process. Q What were the issues that made this project controversial from the beginning? Aranda: From the beginning, before I volunteered to take over the project, staff was the issue. A group of citizens felt that the selected EIR consultant had a conflict of interest and should be removed. The EIR consultant was replaced by Templeton Planning Group as the new EIR consultant. A resident sat on the interview panel. The citizens also felt that the City staff member assigned to the project (although doing an excellent job) had worked too much with The Irvine Company in the past, and therefore could not be objective. Despite the fact that this allegation was groundless, we felt it best to reassign her and I volunteered to take over the project. This way we could make a clean new start on the project. Of course, the project itself had a number of issues. Traffic and aesthetics were the two key issues. The residents in the adjacent Turtle Rock community were concerned about the increase in traffic through their neighborhood. They were also concerned with the views to Planning Area 27, particularly the ridge area along the minor preservation area and the “bowl.” Other issues that were of concern included noise and schools. Q Who were the key players? 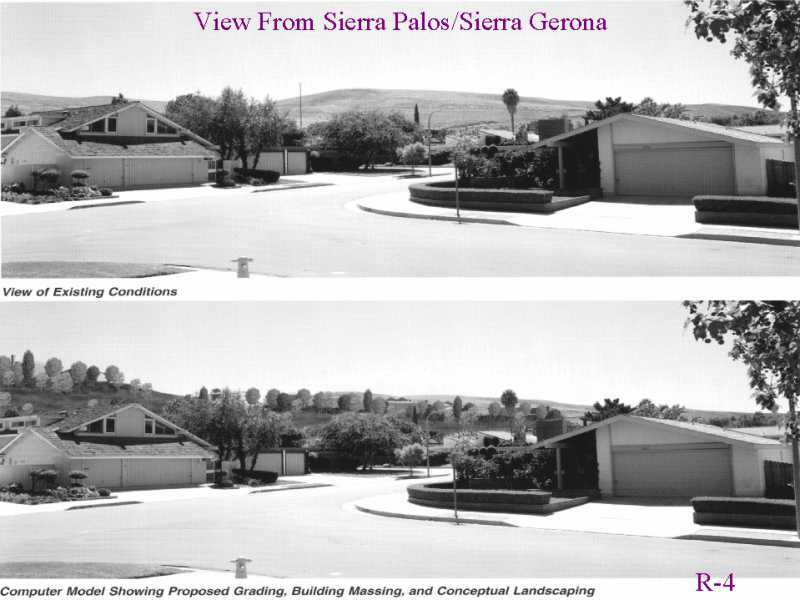 Aranda: For the residents, it was primarily Dr. John Greene and x, particularly the Irvine Residents for Responsible Development, and other members from Turtle Rock. For The Irvine Company, it was Mike LeBlanc and y. Key individuals from the City included the Council and various commissions; City Managers Paul Brady and Allison Hart; Peggy Schneble, Manager of Planning and Development Services; Sheri Vander Dussen, Director of Community Development; Dee Manning, Director of Community Services and her staff; and Jim Eldridge, Director of Public Works and his staff. Our consultant team included Kathleen Recker from Civic Solutions and her staff; Peter Templeton and Bill Halligan from Templeton Planning Group. And finally, me. Q What were some of the biggest obstacles to reaching a consensus? Aranda: At the beginning, the community did not trust staff in the least. So everything we said was scrutinized. My highest priority was to gain the trust of the community leaders, and therefore the community, and ensure that staff would never again be the issue on this project. We are always available to the applicant and the community, but we continually reinforced this to IRRD. I called them or e-mailed them to see if there was any other information I could provide. The application was complex. 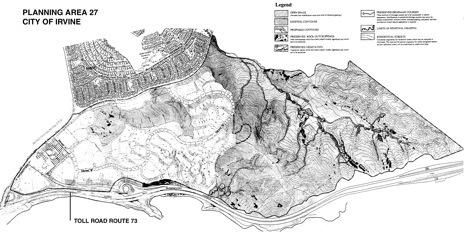 It consisted of a Zone Change, Master Plan for Hillside Development, an Open Space Management and Conservation Plan, and the EIR. I needed to make sure that the residents we met with understood the different components and the associated processes without appearing patronizing. After all, we were trying to teach them all about a complex planning project, and they are not planners. That’s not easy. I kept trying to think of the residents tying to help me understand all about their professions and how I might feel. The various City documents such as the Zoning Ordinance, General Plan and Open Space Agreement are complicated documents. The City has an Open Space Agreement with The Irvine Company which was the result of an initiative passed in 1988. Basically, the City receives over 1,000 acres of open space in exchange for development in PA 27. As you can imagine, a legal agreement can be interpreted in several different ways and at times the residents, TIC and staff all had different interpretations of various sections. Perhaps “obstacle” is not the right word, but The Irvine Company was getting very frustrated over the amount of time the processing of PA 27 was taking as well as the constantly rising costs. We met with them weekly to discuss the project and spent much more time on the phone. Q What new or innovative ideas were tried in order to resolve the issues? Aranda: Getting the information to the residents was key. We met with the residents every other week for several hours at a time for a year. We listened to their concerns, gave them all the information they needed and explained staff’s viewpoint. We then took their concerns to The Irvine Company and tried to work out compromises where feasible. I really wanted to give the residents every possible opportunity to get involved with the process, or at least be informed. We knew that our existing processes simply would not work with this project. Using the phrase “that’s the way we’ve always done it” would have been met with unfavorable response from the residents. We decided to augment our existing process with a few extras. Web site dedicated to PA 27. We loaded the EIR, staff reports and presentations on the site. By the end of the project, we had nearly 5,000 hits, 400 EIRs downloaded and had 200 comments on the EIR. Staff reports. We threw conventional staff reports out the window and added graphics and photos into the body of the report. In addition, we set up a format that defined the issue, the citizen concerns, and staff’s recommendation. Meetings. As I pointed out earlier, we met regularly with representatives from Turtle Rock. We also held community meetings, and I met with a number of other interested citizens, including a thirteen year old girl. Site postings. Our typical small posting signs failed (too small to read, not weather proof) so we had two huge signs posted on the site with my phone number and the web site address. Press. The project got a huge amount of press. I spoke with the LA Times, the Orange County Register and was interviewed for OCN. Besides answering the technical questions, I asked the reporter to please print or air the web site address or my phone number to encourage people to get involved. The press was very cooperative. Q What was the point in the process where you were the most discouraged? Aranda: I was discouraged as soon as I offered to take the project, but I was hopeful. I knew it would be such an uphill battle with such a complex project, the distrust and anger of the community, and an EIR consultant that I didn’t know. My number one goal was to turn the community’s impression of staff around and remove staff from the list of issues. We accomplished this by providing the residents with all the information they wanted, and then some. We met with them and helped them understand the applications, process, and how they could be most effective. Q What was the point in the process that you found the most rewarding? Aranda: There were a few times that were very rewarding. About six months into the project, the representatives from IRRD invited me to the community meeting they were holding. They answered questions from their neighbors regarding the City’s process, the Open Space Agreement the City has with the Irvine Company and other planning related questions. I was pleased at their responses because I realized that they had a good grasp of the complexities of the project and that we were doing a good job helping them help their neighbors understand the project and how they might best influence the process. During the meeting, they asked me to answer a few questions. A very irate citizen got up and said some very uncomplimentary things to me. Before I could respond, John Greene from IRRD took the microphone away from me and said, “You don’t have to answer to that” and went on to say how great it was to work with staff. Another board member reiterated to the crowd of about 120 that I had an open door policy and would be happy to sit down and talk to anyone about the project. I really felt that we had made some great progress at that point. This may sound odd, but I was very pleased we received 200 responses to comments on the EIR. This told me our public relations campaign was working. We were getting the word out about the project and people were responding. I thought it was great. Of course it put the EIR consultant into shock. Our first Planning Commission public hearing did not go very well. As a result, we went overboard preparing the next Planning Commission meeting. We held a simulated Planning Commission meeting, where some senior planners and management analysts absolutely grilled me on big and minute issues. We developed strategies on how to deal with questions when we didn’t have immediate answers. I was thrilled on how well the meeting went. I received compliments from my director and manager as well as the Planning Commissioners. And finally, the City Council meeting which focused on the citizen concerns and solutions and not at all on staff … which was my first priority when I took the project. Q Was there an identifiable turning point? Aranda: The commissioners and Council met individually with concerned residents throughout the project. One of the Council members and a Planning Commissioner met with The Irvine Company and IRRD during the summer to facilitate a compromise. As a result, an agreement was drafted and signed by IRRD and The Irvine Company before the City Council meeting. I was so pleased, and somewhat shocked, to see that the project was going to be completed peacefully when it began with such contention. Q What important compromises were made and what was ultimately accomplished? Aranda: Both the applicant and IRRD had to make some compromises. I’m not sure how to get into this without getting too technical. Let’s talk. Q What role did the Commissions and City Council play? Aranda: The commissions, and especially the Council, had to find a way to respect both sides in an intense controversy. At the hearings they insisted that the developer address the concerns of the residents. Yet they also insisted that the citizens respect the prior agreements and property development rights of the developer. And perhaps most important of all, the commissions and Council allowed the time necessary for everyone to adjust to new ideas, and to work out acceptable comprromises. Q Would you summarize what you learned to do or not to do with large-scale projects? Aranda: There are a number of things. A project of this size cannot be completed by one staff person. You must put together a team of motivated individuals. I project managed the entire project, but Civic Solutions provided terrific support as did Templeton Planning Group. In addition, my director, Sheri Vander Dussen, and manager, Peggy Schneble, provided invaluable insight and emotional support. Be open to new ideas and be willing to toss out tried and true methods. There might be better ones lurking nearby. Don’t defend your existing processes. Think of whether or not they really do the job. Use the technology available to you. One of the best things we did was set up the web site and e-mail address list. We loaded the EIR on the site, sent out links to the staff reports and loaded the power point presentations on the web site. I received countless e-mails from the community and I was able to give them the information they were seeking. Be over prepared for every public hearing. Put yourself through simulated hearings with your peers and let them grill you on every possible detail. Have people unfamiliar with the project review the draft staff reports. It will be most apparent to them if something is unclear. Enjoy the challenge and the opportunity to work closely with the residents and applicant!